Enjoy this lovely day with special gift like Assorted Chocolate with Strawberry Cake and Love Greeting Card full of joy and romance, for sure your lovers will say thanks to you for creating such a beautiful moments for her or him. Cake would be the best option, Any flavoured would be appropriate. And if you will send to your Valentine as per her or his favourite flavour than is always a good idea. Whenever you get this kind of gift hamper its like you are in heaven with all the happiness of the world. This gift combo should be the best bet for Valentine's Day, Birthday, Anniversary and Many more.. This gift is exclusively available at Giftacrossindia.com only. Browse your favorite products, it is very conveniently available for online shopping from anywhere in India with Same Day Delivery option. 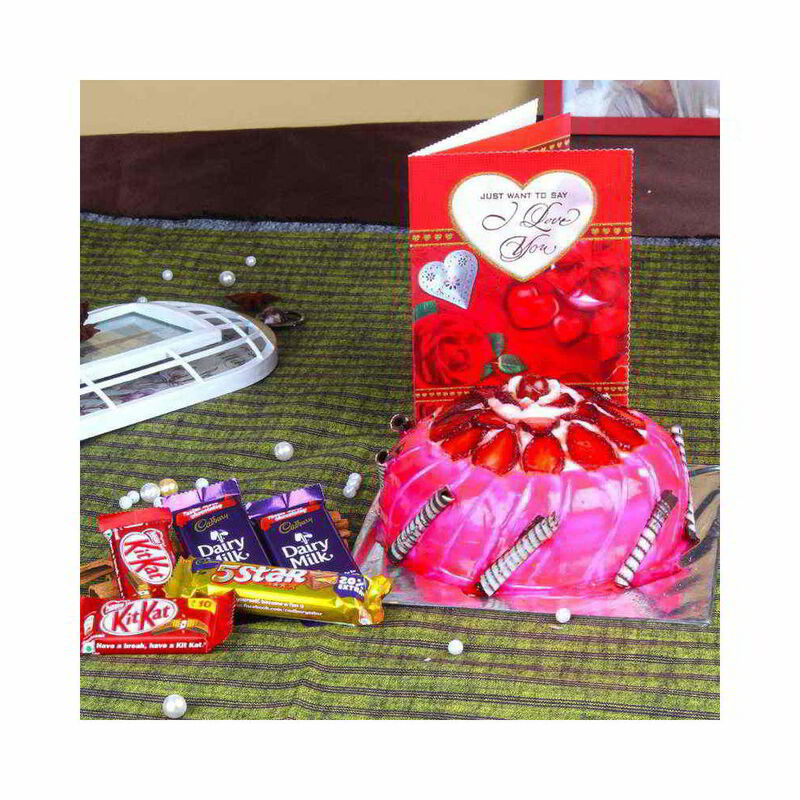 1 Kg Strawberry Cake, Assorted Chocolate (Weight : 100 gms) along with Love Greeting Card.